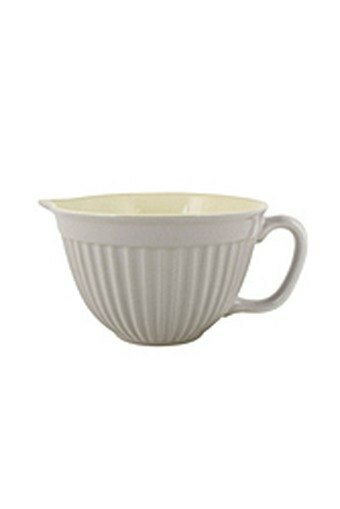 Measure, mix and pour ingredients into this beautiful french grey batter bowl from Ib Laursen. Make spelt waffles, cakes and more. This bowl has high sides preventing any splatter and a lip and pour spout allowing for easy, no-mess pouring. The Batter Bowl has a 1 litre capacity and is dishwasher, microwave and ovenproof safe. Ib Laursen designs and sells home and garden decor, matching the Nordic design tradition, to retailers all over the world. The product range is wide and offers a great number of possibilities in creating a unique and cosy atmosphere, both inside and outside.